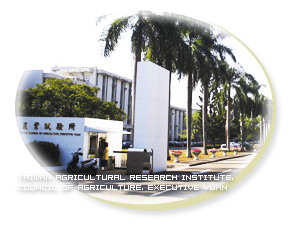 Since TARI's inception in 1895, Taiwan's agricultural production structure has gone through many changes, noticeably from the Rent Reduction to 37.5 Percent and Land-to-the-Tiller programs in the late 1940s to the on-going Small Landlords Coupled with Big Tenant-Farmers and Rural Regeneration projects. At the same time, the consumers have greatly changed their attitude for crop products. For example, in early days people were satisfied as long as they had enough to eat, but nowadays they demand not only eat well but also safe and healthy diets. In this ever changing process of agricultural development, TARI has been contributing to agricultural production and bringing about sustainable rural economic growth through the development of new varieties and technologies. In accordance with the government policy and under the leadership of successive management teams, TARI has fully demonstrated its functions and values. As a century-old research institute, TARI finds its own ways to overcome the new challenges. Recently, TARI has established ten thematic research teams on applications of molecular markers, hydroponic technology, rapid pesticide residue screening techniques, and others. The unique, generic feature of these teams is that each team draws together experts from various disciplines to proactively address problems associated with specific crop industry. Augmented with these newly formed teams, TARI is to increase its efforts to achieve greater efficiency, accountability and results in order to maximize its impact on Taiwan’s agricultural sector. To achieve the institute's objectives more effectively and efficiently, TARI collaborates with various related agencies, departments and experimental stations under the auspice of COA. And to maximize the achievement of COA's goals within COA's total available budget and resources in agricultural research and development (R&D), TARI is also seeking cooperation, based on comparative advantages, with different District Agricultural Research and Extension Stations and Taiwan Seed Improvement and Propagation Station to address major challenges in the agricultural sector. With mutual understanding and agreement among the concerned parties, TARI has taken the lead on a variety of inter-institutional research collaborations such as floral crops, tropical fruit trees and crop health management. In addition, TARI partners with several reputable institutions in the country including Academia Sinica, National Taiwan University, National Chung Hsing University, Central Taiwan University of Science and Technology, Asia University, Chung Chou University of Science and Technology, and National Chung Cheng University. Joint research laboratories will be established with these partners to enhance quality of collaborative research and to facilitate the staff to contribute to achieving TARI's mission and objectives. Reflecting the universality of scientific investigation and the added value of international cooperation, TARI closely collaborates with COA’s bilateral country projects and regional programs such as the Agricultural Technical Cooperation Working Group (ATCWG) of the Asia-Pacific Economic Cooperation (APEC), the Asia Pacific Association of Agricultural Research Institutions (APAARI), the Asian Productivity Organization (APO) and the African-Asian Rural Development Organization (AARDO). TARI provides support to facilitate research planning, implementation and monitoring, organize conferences and conduct training programs. Moreover, TARI works together with other international partners on a broad range of areas. Currently, TARI has the MoU for cooperation with the Asia and Pacific Seed Association (APSA), AVRDC-The World Vegetable Center, the International Rice Research Institute (IRRI), Purdue University and others. The activities are concentrated on the exchange of materials, collaborative R&D of mutual concern, and introduction of advanced technologies. TARI's core value is to serve the farmers with their needs while advancing with new technologies, and to ensure Taiwan's sustainable agricultural development into the future. Historically a good grasp of key technologies has been shown to be the driver of agricultural development. Following the same line of approach, TARI will take the initiative to develop improved materials, processes, methods and/or technologies to serve the farmers, to engage in stakeholder-led, demand-driven research to meet technical needs of the agricultural sector, and to translate the research results into future agricultural impacts.